Read 5 times. Last read April 4, 2017 to April 6, 2017. April 2017: I love this book. Every time I read it, it's like reading it for the first time again. May 2015: And the 4th time... Love it! 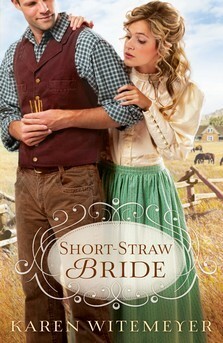 Sign into Goodreads to see if any of your friends have read Short-Straw Bride. 82.19% "Re-reading for the heck of it. :)"
Let me know what you think! I loved it. Maybe I might be sappy though!